My Workspace, originally uploaded by bradipo. I haven’t actually been writing at my desktop for the past couple of weeks. While Steve and Daniel were visiting, we were taking our laptops to the library and using one of their “study rooms” as an office. I’m fixin’ to get back to working here, though. 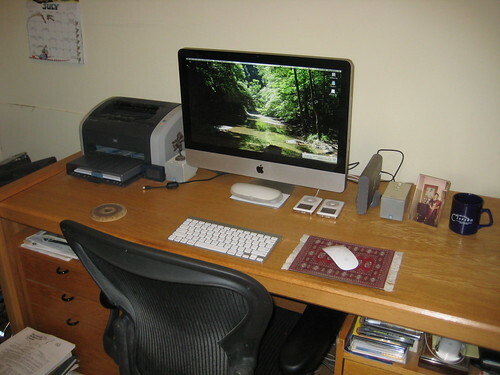 My Workspace by Philip Brewer is licensed under a Creative Commons Attribution 3.0 United States License. Next Next post: Open Source Fiction?